The sign looks like it started out ok. Creative stencil work, different colors. Then something happened. 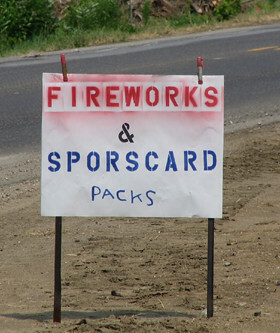 Did the person realize "sportscards" was spelled wrong then decided to put an end to it all by handwriting "packs"? Or it could be the card packs are really moldy?